﻿ Hotel Palazzo Giovanelli e Gran Canal Venice. JIMAT di Agoda.com! Dengan menawarkan pemandangan yang indah merentasi Terusan Grand, Hotel Palazzo Giovanelli telah wujud sejak abad ke-16 lagi. Dataran St. Mark terletak hanya 2 perhentian dari hotel ini menerusi teksi air. 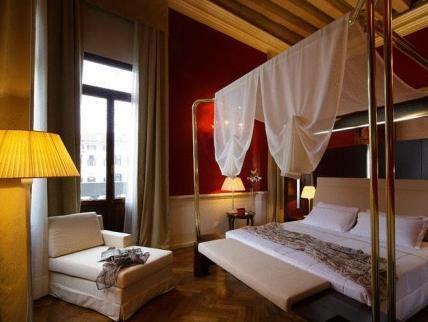 Hotel Palazzo Giovanelli e Gran Canal menawarkan bilik-bilik yang besar dan elegan dengan lukisan asal, penyaman udara, dan TV satelit berskrin rata. Sarapannya terdiri daripada bufet yang pelbagai. Kebanyakan bilik mempunyai siling alang kayu terdedah, dan balkoni dengan pemandangan merentasi Venice yang bersejarah dan Terusan Grand. Sesetengah bilik menghadap ke taman dalaman. Bekas sebuah istana ini pernah menjadi rumah kepada Doge Venice, dan keluarga Mozart. Ruang-ruang santainya yang luas dilengkapi candelier kaca Murano dan perabot Itali yang elegan. Venice Casino terletak 2 minit perjalanan menyeberangi terusan ini. Kakitangan yang berbilang bahasa di kaunter penyambut tetamu boleh menempahkan teksi air atas permintaan. 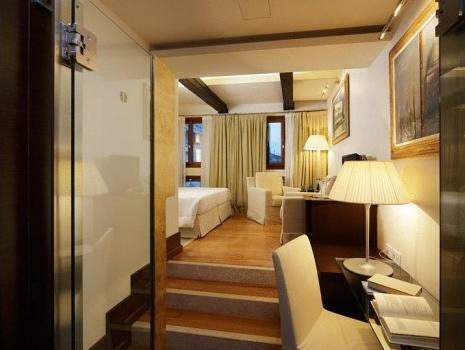 Away from the bustliing st marco square, very authentic 19th century room, high flloor woth modern touch. Very impressive and clean. Great hotel with perfect location. Rooms are small but nice. Breakfast is a little dispapointing, but the rest is great. Being upgraded to suite without asking for it. Big surprise. Exactly next to the water bus station, easy to find. Breathtaking canal view from the room. Will definitely stay again if coming to Venice again. Location is fair and its surrouding is not so noisy. 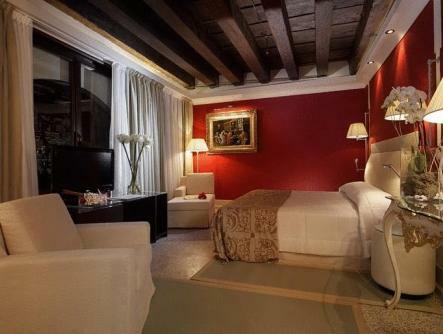 Perfekt stay when in Venice. Was very disappointed with their room on level 3 where there is no lift accessibility and you need to take the steps and furthermore the room is very stuffy. Room was small and hard to open suitcases for 2 people. But generally hotel service was good. We fully enjoyed the nicely decorated room, excellent customer service of the staff and delicious breakfast. Great. We should have caught the public ferry which has a stop beside the hotel. This is easy and much much cheaper than a water taxi. This hotel is in no way a 4 star hotel. The location is ok, perfectly acceptable and this surely makes the room price as high as it is. But the rooms are tiny (even by European standards), the breakfast buffet is only basic (although the breakfast servers are ok). The real killer of this hotel is the reception staff. They are terrible. Any time you need to ask anything of them they will not acknowledge in any way and make sure you know whatever they are doing on the computers is much more important than helping you. At the very least, a well-serviced 4 star hotel would train their staff to at least acknowledge a guest when they approach and ask them to please wait a moment. No such luck here. Other more minor annoyances were that the air conditioner worked just a enough to keep you from really sweating, but never got cool. And the refrigerator was much the same. Everything in the refrigerator was just a little cooler than room temperature. I'd recommend finding a difference place to stay. If you are ok with this level of service and quality you're betting off booking a cheaper 2 star hotel. It such an amazing hotel I never been. I really want to stay here for long while if I can. 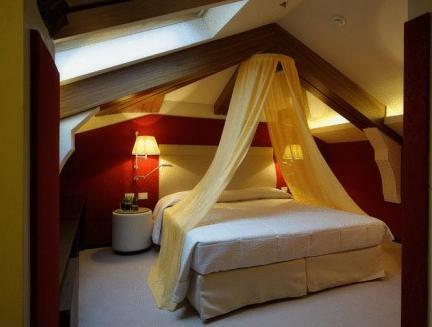 Lovely, elegant and romantic hotel. Also, the location is very convenience but not noisy, this is the only one hotel I will recommend even this is not the first time for me to go Venice. Located next to the water bus stop. The room has a good view that is facing the river. Room is small. About 5 mins walk to the market and 10 mins walk to Rialto. Convenient location since it is located at the water bus stop. Impressed, the room is larger than I thought, the floor to ceiling is over 4 meter. I also got a free wifi during my stay, which doesn't state this term in the deal. The hotel location is very convenient. It's next to the port station. The room we stayed is delux, very confortable and nice, but would prefer river view next time, I guess only the suite will have it. love the cloth towel in the bathroom, feels ancient and a bit strange, but really nice. Bits by bits inconveniences, ie, no kettle, no shuttle, no porter, etc. but overall services were satisfying, staffs are helpful and smily people. Breakfeast are good enough. Lovely Palace with nice rooms, even though not too big. Nice service and a small but good breakfast. 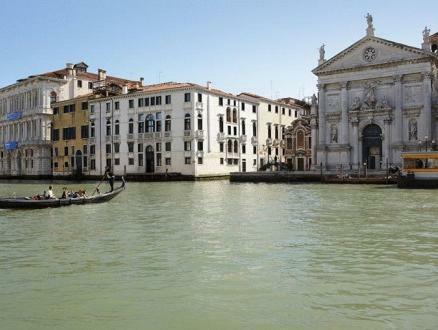 Perfect location to taste the beauty of Venice without being in a overcrowded place. The area surrounding the hotel is very pictoresque with nice little shops and restaurants that alouds to appreciate a bit of the daily life of the local people. The hotel staff Max and Josip were very helpful,Because the flight is early but the bus is too slow.With their help and suggestion we take bus to the taxi station then to the airport.that is cheaper than water taxi and faster than the bus. The hotel is cool and modern. 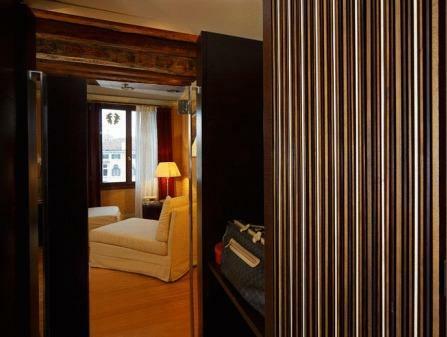 With great location ,Near San Stae Vaporetto stop. Walking distance to Rialto and the Train Station. I think we would come back again! The hotel was right on the Grand Canal and adjacent to St. Stae Church and water bu stop. The hotel was in excellent condition and the room was beautiful. The staff was very helpful with any questions concerning sightseeing or any other question as to where to eat or go for nightlife. The breakfast was great and included in the room rate. I would highly recommend this hotel to anyone.